Paris: Police are preparing to dismantle makeshift camps holding close to 2,500 migrants in the French capital, France’s interior minister said Wednesday amid a debate over how best to respond to the unrelenting arrival of homeless newcomers — with humanity or muscle. 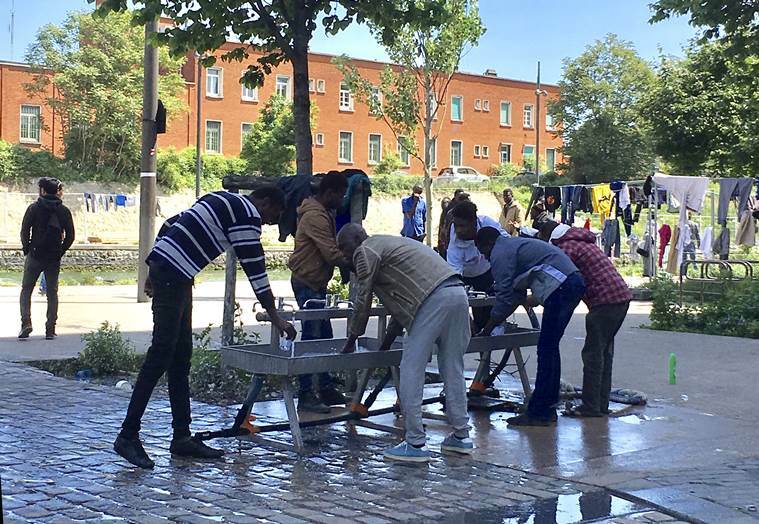 Two migrants drowned this month in canals that run beside some of the places in Paris where tent cities have gone up, and fights at camps have led to injuries, increasing the pressure on public officials to act. 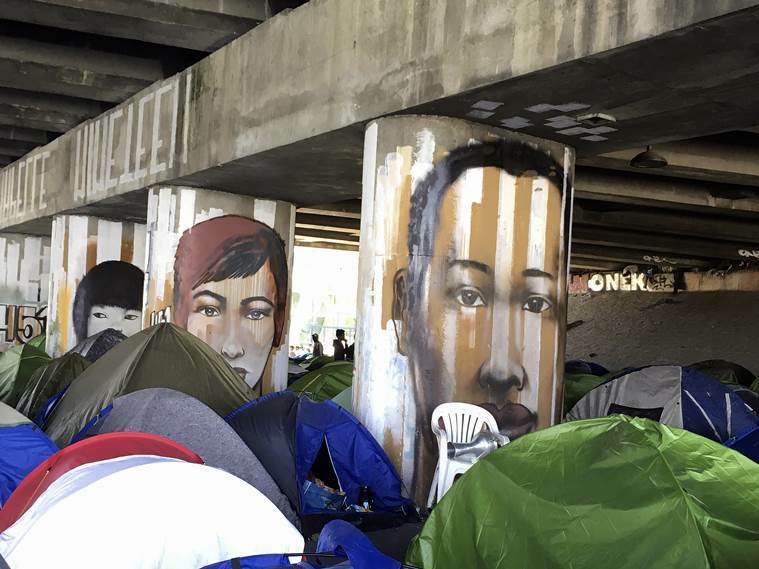 A burgeoning encampment in far northeast Paris, on a canal used by joggers and cyclists, is the focal point of the debate pitting French Interior Minister Gerard Collomb against Paris Mayor Anne Hidalgo, who are at odds over how to treat migrants and find a lasting solution. France’s quandary is shared by other European nations seeking to manage the stream of new arrivals, which has ebbed since the mass Syrian refugee crisis a few years ago but remains a steady challenge. 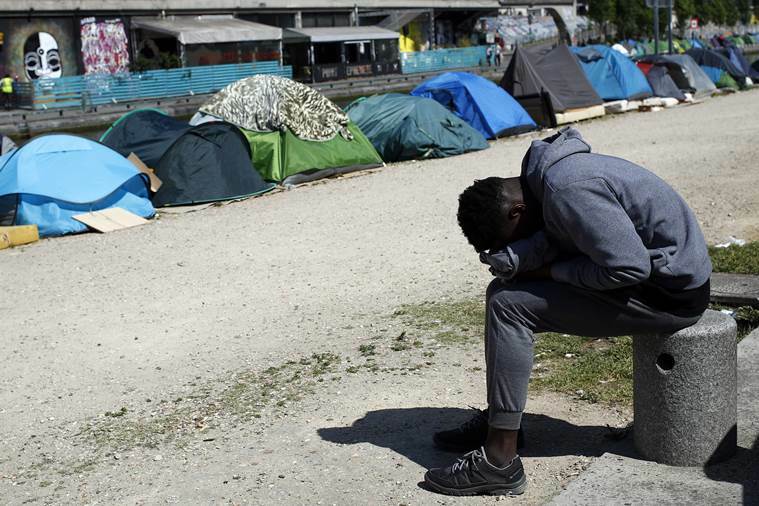 Expressing “regret” at Hidalgo’s refusal to take the necessary steps to allow police to evacuate the migrants, Collomb said he had no choice but to order the removal of the estimated 1,400 people living at the largest camp and others around Paris. His order is expected to be carried out in the coming days. The interior minister made it clear in a statement that closing the improved camps would result in some migrants being expelled from France. The mayor and aid groups want the people at the camps to be moved to shelters and given help, fearing the evacuations will result in migrants simply being dispersed or summarily deported. Collomb is behind a tough immigration bill that has attracted criticism for French President Emmanuel Macron, who wants to stop migration at its source and adopt a harsher policing approach at home. However, the state-appointed but independent human rights champion tried to put the brakes on a quick clearing of the camps. 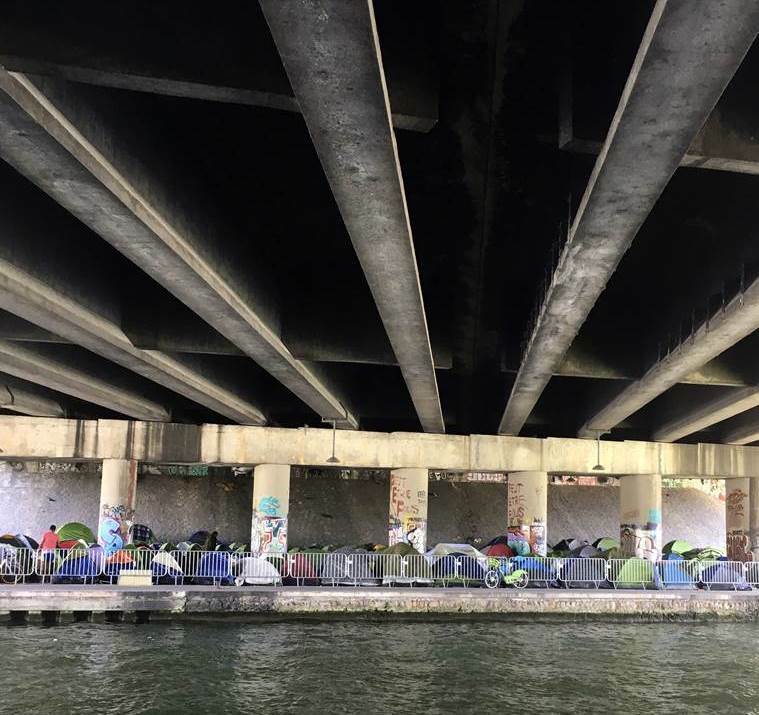 Hundreds of small tents are closely packed under bridges on the side of a canal in far northeastern Paris, beside a shopping center, banks and other businesses. The tents, filled mainly with African migrants, hold stories of horrific stays in Libya, desperate boat trips across the Mediterranean, frozen journeys on foot through the Alps — and visions of the good life that fuels the dreams of all migrants. Joggers, cyclists and those working in the area pass in the narrow space available, as river shuttles and barges ply the canal’s waters. The surrealistic scene is repeated along the Canal Saint-Martin, a scenic stretch popular with tourists in the heart of Paris where an estimated 450 migrants, many Afghan, are camped. “It’s not the best vision from the office window,” said Kevin Sadoun, who works at a major bank with offices around the largest encampment, known as the “Millenaire” after the shopping center overlooking the tents. “We see people pee, defecate … But they have no choice,” he said. 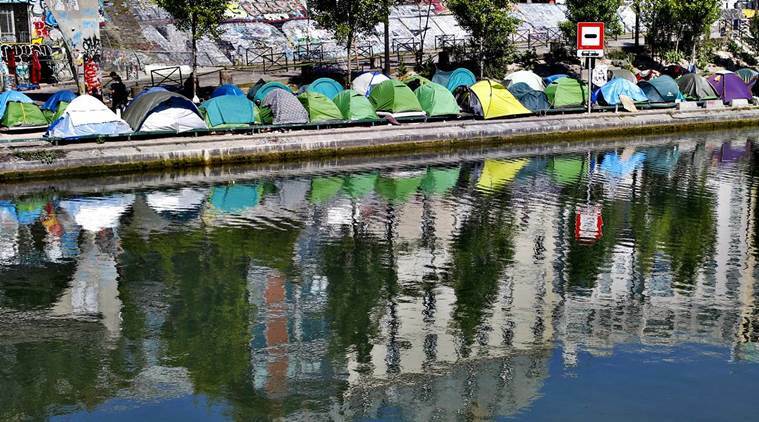 The mayor of Paris’ 19th district, where the largest camp is located, is also opposed to a police evacuation, in part because that camp, like the one at Canal Saint-Martin, is beside the water, making an intervention dangerous. “The subject is not a confrontation between Hidalgo and Collomb … It’s how a country like France can accept that people, mostly potential asylum-seekers, can find themselves in this undignified, dangerous and hyper-insecure situation,” Francois Dagnaud told France Bleu radio. Naby Sylla, a 20-year-old Guinean, is among migrants who crossed into France via the Alps, after traveling by raft from Libya to Italy. He left Italy, he said, after being twice attacked, once with a bottle and needing hospital treatment. “In Africa, we thought that Europe was a place of welcome. Unfortunately, we don’t find that,” he told The Associated Press.